Figure 26.1 is a simplified schematic diagram of a hazardous waste landfill, showing the geometry and placement of double liners and LCRSs in a landfill.15 In a double-lined landfill, there are two liners and two LCRSs. The primary LCRS is located above the top liner and the secondary LCRS is located between the two liners. In this diagram, the top liner is a geomembrane (GM) liner, also called flexible membrane liner (FML), and the bottom liner is a composite liner system consisting of an FML overlying compacted low-permeability soil (or compacted clay). The U.S. EPA guidance6 discusses three types of liners: FMLs, compacted clay liners (CCLs), and composite liner systems (an FML overlying a compacted low-permeability soil layer). Material specifications in the guidance for FMLs and CCLs are briefly reviewed below, along with regulations regarding all three liner systems. The minimum thickness specification for an FML top liner covered with a layer of soil is 0.75 mm; for an FML without a soil cover layer, the specification is 1.14 mm. An FML in a composite bottom liner system must be at least 0.75 mm thick. Even though these FML thicknesses meet U.S. EPA specifications, 0.75 mm is not a suitable thickness for all FML materials. In fact, most FML materials installed at landfills are in the range of 1.50-2.50 mm in thickness. Other key factors affecting the selection of FML materials include chemical compatibility with waste leachate, aging and durability characteristics, stress and strain characteristics, ease of installation, and water vapor/ chemical permeation. For compacted, low-permeability soil liners, the U.S. EPA draft guidance recommends natural soil materials, such as clays and silts. However, soils amended or blended with different additives (e.g., lime, cement, bentonite clays, and borrow clays) may also meet the current selection criteria of low hydraulic conductivity, or permeability, and sufficient thickness to prevent hazardous constituent migration out of the landfill unit. Therefore, U.S. EPA does not exclude compacted soil liners that contain these amendments. Additional factors affecting the design and construction of CCLs include plasticity index (PI), Atterburg limits, grain sizes, clay mineralogy, and attenuation properties. U.S. EPA's rationale for the requirement of composite bottom liner option in the final double-liner rule is based on the relative permeability of the two liner systems.13 The results of numerical simulations performed by U.S. EPA,10 which compared the performance of a composite bottom liner to that of a compacted soil bottom liner under various top liner leakage scenarios, showed that liquids passing through defects in the top FML enter the secondary LCRS above the bottom liners. The hydraulic conductivities of bottom liner systems greatly affect the amount of liquids detected, collected, and removed by the secondary LCRS. U.S. EPA compared the compacted soil and composite bottom liner systems in terms of theoretical leak detection sensitivity, or the minimal leak rate that can be detected, collected, and effectively removed in the secondary LCRS. The theoretical leak detection sensitivity is <1 gallon/ acre/day for a composite liner having an intact FML component. This leak detection sensitivity value reflects water vapor transmission rates for FMLs with no defects. In contrast, with well-constructed clay bottom liners (10-7 cm/s permeability), liquids entering the secondary LCRS may go undetected and migrate into the bottom liner until the leak rates approach 100 gallons/acre/day. With a slightly more permeable compacted clay bottom liner with 10-6 cm/s permeability, the secondary LCRS may not detect, collect, or remove the liquid flowing from a leak in the top liner until leak rates are very serious (on the order of 1000 gallons/acre/day J). is the amount of liquid collected and removed in the secondary leachate collection system divided by the total amount entering into the secondary LCRS through a breach in the top liner. For low leakage rates, the leachate collection efficiency of a landfill with a composite bottom liner system, even a composite system with tears or small defects in the FML, is very high (above 95% for leak rates in the range of 1-10 gallons/acre/day). In comparison, landfills with compacted clay bottom liners have 0% leachate collection efficiency for low leak rates and only 50% efficiency for leak rates of ~100 gallons/acre/day. These results demonstrate that leachate collection efficiency of the secondary LCRS improves significantly simply by installing an FML over the compacted clay bottom liner. The components of an LCRS include the drainage layer, filters, cushions, sumps, and pipes and appurtenances. Of these components, the drainage layer receives the most attention in the guidance and regulations. The drainage layer can consist of either granular or synthetic material. If granular, it must be either clean sand or gravel with very little fines content in order to facilitate the rapid collection and removal of the liquids that accumulate above the top liner and between the two liners. This minimizes hydraulic head on both liner systems. According to the guidance, the main selection criteria for granular drainage materials are high hydraulic conductivity and low capillary tension, or suction forces. For typical drainage layer materials, permeabilities range between 10-3 and 1 cm/s. A silty sand drainage layer with significant fines content will have a lower permeability (i.e., 10-3 cm/s) and significant capillary tension. At the upper end of the scale, drainage layers consisting of clean gravel can achieve permeability on the order of 1-100 cm/s. In this upper range of permeability, capillary tension is negligible. Therefore clean sands and gravels are preferred over silty sands. There is a high correlation between permeability and capillary rise (the elevation height of liquids retained by granular particles within the drainage layer by surface tension under unsaturated conditions). At 10-3 cm/s, there is a significant capillary rise (~1 m) whereas at the upper end of the permeability scale (1 cm/s), the capillary rise is only on the order of 3 cm. Reduction in fines content therefore, significantly reduces capillary rise while increasing the hydraulic conductivity. Increasing hydraulic conductivity, in turn, results in rapid collection and removal of liquids. • Corrugated, waffled, or alveolate plates (10-20mm). Construction materials also vary. The most common synthetic materials are polypropylene (PP), polyester (PET), or polyethylene (PE). Because synthetic drainage layers are much thinner (<1 in.) than granular drainage layers (1 ft) and have similar design liquids capacity, their use in a landfill results in increased space for waste storage and disposal. This advantage translates into increased revenues for the owner/operator of a landfill. The main selection criteria for synthetic drainage materials are high hydraulic transmissivities, or in-plane flow rates, and chemical compatibility with the waste leachate. Discussion of the chemical compatibility of synthetic liners and drainage layers is given in a later section. Hydraulic transmissivity refers to the value of the thickness times the hydraulic conductivity for that drainage layer. Over the lifetime of a facility, the actual hydraulic transmissivities of synthetic drainage layers are affected by two key factors: (a) overburden stress and (b) boundary conditions. The first factor pertains to the increasing loads (i.e., wastes, operating equipment, and final cover) applied to the liner that an LCRS experiences over the lifetime of the facility. The second factor pertains to the stress-strain characteristics of adjacent layers (i.e., FMLs, filters, cushions, and compacted clay). 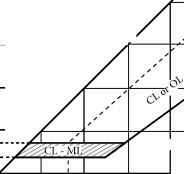 Over time and with increasing stress, adjacent layers will intrude, or extrude, into the drainage layer and result in clogging, or reduced transmissivity, of the LCRS. New regulations applicable to LCRSs in double-lined landfills3,9 differ in two principal ways from older standards for LCRSs in single-lined landfills and waste piles. First, LCRSs must be designed to operate through the end of the postclosure care period (30-50 years), and not simply through the active life of the unit. Secondly, in a double-lined landfill with primary and secondary LCRSs, the primary LCRS need only cover the bottom of the unit (i.e., side wall coverage is optional). The secondary LCRS, however, must cover both the bottom and the side walls. The new regulations also require that LCRSs be chemically resistant to waste and leachate, have sufficient strength and thickness to meet design criteria, and be able to function without clogging. Described in this section are the LDS requirements that apply to the secondary LCRS between the two liners in a landfill. These requirements focus on the drainage layer component of the LCRS. Figure 26.4 illustrates the location of an LDS in a double-lined landfill that meets these requirements. The minimum design standards for granular drainage layer materials require a minimum thickness of 1 ft and a minimum hydraulic conductivity of 1 cm/s. To meet this minimum hydraulic conductivity standard for granular drainage materials, the secondary LCRS, or LDS, must be constructed of clean gravels. The standards for LDS also specify a minimum bottom slope of 2% and require the installation of a leak detection sump of appropriate size to allow the daily monitoring of liquid levels or inflow rates in the LDS. Specifically, the sump should be designed to detect a top liner leakage rate in the range of action leakage rate (ALR) specified in the leak detection rule. The leak detection rule also establishes design performance standards for the LDS. Design performance standards mean that the facility design must include materials and systems that can meet the above-mentioned design criteria. If the liners and LCRS materials meet the design criteria, the design performance standards will be met. Compliance with design performance standards can be demonstrated through numerical calculations rather than through field demonstrations. 1. A leak detection sensitivity of 1 gallon/acre/day. 2. A leak detection time of 24 h.
The leak detection sensitivity refers to the minimum top liner leak rate that can theoretically be detected, collected, and removed by the LDS. The leak detection time is the minimum time needed for liquids passing through the top liner to be detected, collected, and removed in the nearest down-gradient collection pipe. In the case of a composite top liner, the leak detection time refers to the period starting at the point when liquids have passed through the compacted soil component and ending at the point when they are collected in the collection pipe. U.S. EPA bases its 1 gallon/acre/day leak detection sensitivity on the results of calculations that show that, theoretically, an LDS overlying a composite bottom liner with an intact FML component can detect, collect, and remove liquids from a top liner leak rate <1 gallon/acre/day. This performance standard, therefore, can be met with designs that include a composite bottom liner. Based on numerical studies, one cannot meet the leak detection sensitivity with a compacted soil bottom liner, even one with a hydraulic conductivity of 10-7 cm/s. Therefore, the emphasis of this standard is on selecting an appropriate bottom liner system. Meeting the 24-h leak detection time, however, is dependent on the design of the LDS. A drainage layer meeting the design criteria, together with adequate drain spacing, can theoretically meet the 24-h detection time standard. The emphasis of the standards, therefore, is on designing and selecting appropriate materials for the secondary LCRS. Compliance with U.S. EPA's design performance standards can be demonstrated through one-dimensional, steady-state flow calculations, instead of field tests. For detection sensitivity, the calculation of flow rates should assume uniform top liner leakage. For detection time, factors such as drain spacing, drainage media, bottom slope, and top and bottom liners should all be considered, and the worst-case leakage scenario calculated. Owners and operators of landfills, surface impoundments, and waste piles will be required to install double liners and LDSs. Basically, U.S. EPA regulations and guidance16 require that the final cover be no more permeable than the liner system. In addition, the cover must be designed to function with minimum maintenance, and to accommodate settlement and subsidence of the underlying waste. The regulations do not specify any design criteria for liner materials to meet the performance standard for permeability. The guidance16 recommends a three-layer cap design consisting of a vegetative top cover, a middle drainage layer, and a composite liner system composed of an FML over compacted low-permeability soil. The final cover is to be placed over each cell as it is completed. Since the regulations do not specify the designs of materials for the final cover, or cap, design engineers can usually use their own judgment in designing the final cover and selecting materials. For example, if the lining system contains a high-density polyethylene (HDPE) membrane, the final cover does not necessarily need to have an HDPE membrane. The amount of flexibility in selecting FML materials for the final cover varies from region to region, based on how strictly the statutory phrase "no more permeable than" is interpreted. Nevertheless, from a design perspective, the selection of FML materials in the final cover should emphasize the physical rather than the chemical properties of the liner material, since the main objective is to minimize precipitation infiltration. Precipitation infiltration is affected mainly by the number of holes or tears in the liner, not by the water vapor transmission rates. For the vegetative cover, U.S. EPA's guidance recommends a minimum thickness of 2 ft and final upper slopes of between 3% and 5%, after taking into account the total settlement and subsidence of the waste.5 The middle drainage layer should have a minimum thickness of 1 ft (30 cm) and a minimum hydraulic conductivity of 10-3 cm/s. U.S. EPA's revised guidance upgrades that standard by an order of magnitude to 10-2 cm/s to reduce capillary rise and hydraulic head above the composite liner system. For the composite liner system at the bottom of the cap, it is critical that both the FML and the compacted soil components be below the average depth of frost penetration. The FML should also have a minimum thickness of 0.50 mm, but 0.0.50 mm will not be a sufficient thickness for all FML materials. The soil component under the FML must have a minimum thickness of 2 ft (60 cm) and a maximum saturated hydraulic conductivity of 10-7 cm/s. The final upper slope of the composite liner system must be no less than 2% after settlement. Table 26.1 summarizes specifications for each part of the final cover. Source: U.S. EPA, Requirements for Hazardous Waste Landfill Design, Construction, and Closure, EPA/625/4—89/022, U.S. Environmental Protection Agency, Cincinnati, OH, August 1989. 1. Summary of all observations, daily inspection/photo/video logs. 2. Problem identification/corrective measures report. 3. Design engineer's acceptance reports (for errors and inconsistencies). 4. Deviations from design and material specifications (with justifying documentation). 5. Summary of CQA activities for each landfill component. This report must be signed by a registered professional engineer or the equivalent, the CQA officer, the design engineer, and the owner/operator to ensure that all parties are satisfied with the design and construction of the landfill. U.S. EPA will review selected CQA reports. The CQA plan covers all components of landfill construction, including foundations, liners, dikes, LCRSs, and the final cover. According to the rule,13 U.S. EPA may also require field permeability testing of soils on a test fill constructed prior to construction of the landfill to verify that the final soil liner will meet the permeability standards of 10-7 cm/s. This requirement, however, will not preclude the use of laboratory permeability tests and other tests (correlated to the field permeability tests) to verify that the soil liner will, as installed, have a permeability of 10-7 cm/s. U.S. EPA's minimum technology guidance (MTG) and regulations for new hazardous waste land disposal facilities emphasize the importance of proper design and construction in the performance of the facility. The trend in the regulatory programs is to develop standards and recommend designs based on the current state-of-the-art technology. Innovations in technology are, therefore, welcomed by U.S. EPA and are taken into account when developing these regulations and guidance. 1. LCRS that limits the head of leachate on the primary liner to 0.3 m or less. 3. A 0.3-m-thick granular LDS drainage layer with a minimum hydraulic conductivity of 1 x 10-2 cm/s or a geosynthetic LDS drainage layer with a minimum hydraulic transmissivity of 3 x 10-5 m2/s. 4. A GM upper component of a composite secondary liner. 5. A 0.9-m-thick CCL lower component of the composite secondary liner, with the CCL having a maximum hydraulic conductivity of 1 x 10-7 cm/s. 1. 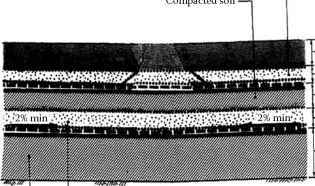 A top layer containing two components: (a) either a vegetated or an armored surface layer and (b) a 0.6-m thick protection layer, comprising topsoil and/or fill soil, as appropriate. 2. A 0.3-m-thick granular drainage layer with a minimum hydraulic conductivity of 1 x 10-2 cm/s. 3. A composite hydraulic barrier, consisting of (a) a 0.5-mm-thick GM upper component and (b) a 0.6-m-thick CCL lower component, with the CCL having a minimum hydraulic conductivity of 1 x 10-7 cm/s. This section discusses soil liners and their use in hazardous waste landfills. The section focuses primarily on hydraulic conductivity testing, both in the laboratory and in the field. It also covers materials used to construct soil liners, mechanisms of contaminant transport through soil liners, and the effects of chemicals and waste leachates on compacted soil liners. Source: U.S. EPA, Requirements for Hazardous Waste Landfill Design, Construction, and Closure, EPA/625/4-89/022, U.S. Environmental Protection Agency, Cincinnati, OH, August 1989. The distinction between various particle sizes differs between ASTM and USDA soil classification systems (see Table 26.2). In the ASTM system, for example, sand-sized particles are defined as those able to pass a No. 4 sieve but not able to pass a No. 200 sieve, fixing a grain size of between 0.075 and 4.74 mm. The USDA soil classification system specifies a grain size for sand between 0.050 and 2 mm. For classification of fine-grained soils and fine-grained fraction of coarse-grained soils. criterion for classifications of clay; clay is distinguished from silt entirely upon plasticity criteria. The ASTM classification system uses a plasticity diagram and a sloping line, called the "A" line (see Figure 26.6), to distinguish between silt and clay. 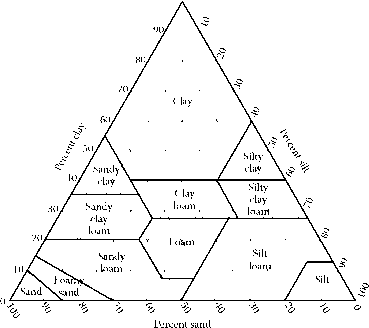 Soils whose data points plotted above the A line on this classification chart are, by definition, clay soils with prefixes C in Unified Soil Classification System symbol. 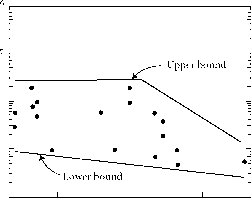 Soils whose data points plotted below the A line are classified as silts. Second, PI should be >10%. Soils with very high PI, >30-40%, are sticky and, therefore, difficult to work with in the field. When high PI soils are dry, they form hard clumps that are difficult to break down during compaction. On the Gulf Coast of Texas, for example, clay soils are predominantly highly plastic clays and require additional processing during construction. Figure 26.7 represents a collection of data from the University of Texas laboratory in Austin5 showing hydraulic conductivity as a function of PI. Each data point represents a separate soil compacted in the laboratory with standard Proctor compaction procedures and at water content about 0-2% wet of optimum. Hydraulic conductivities are consistently below 10-7 cm/s for soils with PIs >10%. Third, coarse fragments should be screened to no more than about 10% gravel-size particles. Soils with a greater percentage of coarse fragments can contain zones of gravel that have high hydraulic conductivities. Finally, the material should contain no soil particles or chunks of rock larger than 1-2 in. in diameter. If rock diameter becomes a significant percentage of the thickness of a layer of soil, rocks may form a permeable "window" through a layer. As long as rock size is small compared to the thickness of the soil layer, the rock will be surrounded by the other materials in the soil. Due to a lack of naturally occurring soils at a site, it is sometimes necessary to blend imported clay minerals with on-site soils to achieve a suitable blended material. The most common blend is a combination of on-site sandy materials and imported sodium bentonite. Figure 26.8 shows the influence of sodium bentonite on the hydraulic conductivity of the silt/sand soil. The addition of only 4% or 5% sodium bentonite to this particular soil drops the hydraulic conductivity from 10-4 to 10-7 cm/s, a rather dramatic reduction. Calcium bentonite, as though more permeable than sodium bentonite, has also been used for soil blends. Approximately twice as much calcium bentonite typically is needed; however, to achieve a hydraulic conductivity comparable with that of sodium bentonite. One problem with using sodium bentonite, however, is its vulnerability to attack by chemicals and waste leachates, a problem that will be discussed later. On-site sandy soils can also be blended with other clay soils available in the area, but natural clay soil is likely to form chunks that are difficult to break down into small pieces. Bentonites, obtained in dry, powdered forms, are much easier to blend with on-site sandy soils than are wet, sticky clods of clay. Materials other than bentonite can be used, such as atapulgite, a clay mineral that is insensitive to attack by waste. Soils can also be amended with lime, cement, or other additives. Composite liner systems should outperform either FMLs or clay liners alone. Leachate lying on top of a clay liner will percolate down through the liner at a rate controlled by the hydraulic conductivity of the liner, the head of the leachate on top of the liner, and the liner's total area. With the addition of an FML placed directly on top of the clay and sealed up against its upper surface, leachate moving down through a hole or defect in the FML does not spread out between the FML and the clay liner. The composite liner system allows much less leakage than a clay liner acting alone, because the area of flow through the clay liner is much smaller. FML placed on a bed of sand, geotextiles, or other highly permeable materials would allow liquid to move through the defect in the FML, spread over the whole area of the clay liner, and percolate down as if the FML was not there. With clay liner soils that contain some rock, it is sometimes proposed that a woven geotextile be placed on top of the soil liner under the FML to prevent the puncture of rocks through the FML. A woven geotextile between the FML and the clay, however, creates a highly transmissive zone between the FML and the clay. The surface of the soil liner instead should be compacted and the stones removed so that the FML can be placed directly on top of the clay. Figure 26.9 illustrates Darcy's law, the basic equation used to describe the flow of fluids through porous materials. In Darcy's law, the coefficient k, hydraulic conductivity, is often called the coefficient of permeability by civil engineers. Darcy's law applied to a soil liner shows the rate of flow of liquid q directly proportional to the hydraulic conductivity of the soil and the hydraulic gradient, a measure of the driving power of the fluid forcing itself through the soil and the cross-sectional area A of the liner (see Figure 26.9). If hydraulic conductivity is 10-7 cm/s, the amount of leakage for a year, per acre, is 50,000 gallons (assuming a hydraulic gradient of 1.5). 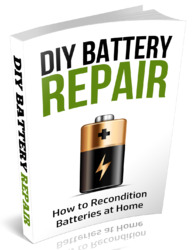 If the conductivity is 10 times that value (1 x 10-6 cm/s), the leakage is 10 times greater, or 500,000 gal. Cutting the hydraulic conductivity to 10-8 cm/s reduces the quantity of leakage 10-fold, to 5000 gallons/acre/yr. These data demonstrate how essential low hydraulic conductivity is to minimizing the quantity of liquid passing through the soil liner. The transport of contaminants through the soil liner occurs by either of two mechanisms: advective transport, in which dissolved contaminants are carried by flowing water, and molecular diffusion of the waste through the soil liner. Darcy's law can be used to estimate rates of flow via advective transport by calculating the seepage velocity of the flowing water. Seepage velocity is the hydraulic conductivity times the hydraulic gradient, divided by the effective porosity of the soil. The effective porosity is defined as the volume of the pore space that is effectively conducting the flow, divided by the total volume of the soil sample (Figure 26.10). If the liquid uniformly passes through all the pores in the soil, then the effective and total porosities are equal. However, if the flow takes place in only a small percentage of the total pore space, for example, through fractures or macropores, the effective porosity will be much lower than the total porosity. Judging the effective porosity is one of the problems in estimating seepage velocities. If effective porosity and other parameters are known, the time of travel (TOT) for a molecule of waste transported by flowing water through the soil liner can be calculated. TOT equals the length of the particular flow path times the effective porosity, divided by the hydraulic conductivity times the hydraulic gradient (Figure 26.10). into columns in the laboratory, and the leachate or some other waste liquid is loaded on top of each soil column, forcing the liquid through the column over a period of time, while keeping the concentration of the influent liquid constant. The concentration of one or more chemicals in the effluent liquid is measured over time. 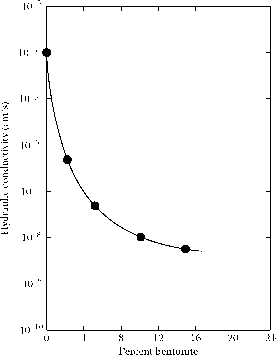 A plot called a breakthrough curve shows the effluent liquid concentration c divided by the influent liquid concentration co as a function of pore volumes of flow (see Figure 26.11). One pore volume of flow is equal to the volume of the void space in the soil. The effective porosity of the soil is determined by measuring a breakthrough curve. It can be expected that as the leachate invades the soil, none of the waste chemical will appear in the effluent liquid at first, only remnant soil and water. Then, at some point, the invading leachate will make its way downstream through the soil column, and come out in more or less full strength. An instantaneous breakthrough of the waste liquid never occurs, however. The breakthrough is always gradual because the invading leachate mixes with the remnant soil water through a process called mechanical dispersion. Many of the waste constituents in the leachate are attenuated or retarded by the soil. For example, lead migrates very slowly through soil, whereas chloride and bromide ions migrate very quickly. With no retardation or attenuation, breakthroughs would occur at a c/co of 0.5-1 pore volume of flow and below. With effective and total porosities being equal, a much delayed breakthrough of chemicals that have been absorbed or attenuated by the soil could be expected. The best way to determine effective porosity is to perform a test using a "tracer" ion that will not be absorbed significantly by the soil, such as chloride or bromide. If the breakthrough occurs in one pore volume of flow, the effective and total porosity is equal. If, instead, the breakthrough occurs at half a pore volume of flow, then the effective porosity is half the total porosity. Chemicals can pass through soil liners by molecular diffusion as well as by advective transport. One can study the molecular diffusion of chemicals in the soil by compacting soil at the bottom of an impermeable beaker and ponding waste liquid or leachate on top of the soil. At the start of the experiment, the concentration c is equal to co in the waste liquid. The soil is clean. Even though no water flows into the soil by advection, chemicals move into the soil by the process of molecular diffusion. Eventually, the concentration of the waste liquid and the soil will be one and the same (see Figure 26.12). Calculations show that after 10-30 years, molecular diffusion begins to transport the first molecules of waste 3 ft downward through a compacted soil liner. Accordingly, even with a perfectly impermeable liner with 0 hydraulic conductivity, in 1-3 decades contaminants will begin to pass through the soil liner due to molecular diffusion. The rate of diffusion is sensitive to a number of parameters. For conservative ions that are not attenuated, the transfer time is 1-3 decades. For ions that are attenuated, transfer time is much longer. The mass rate of transport by molecular diffusion, however, is so slow that even though chemicals begin to show up in 1-3 decades, the total amount released per unit of area is small. FMLs permit the release of organics and vapors via molecular diffusion by almost the same process. Transport times for organic chemicals through FMLs typically range from a few hours to a few days. Representativeness of the soil sample being tested is the most crucial factor. Two case histories illustrate the importance and the difficulty of obtaining representative samples. A test pad constructed under U.S. EPA sponsorship in Klingerstown, PA, consisted of a pad of clay soil 30 ft wide, 75 ft long, and 1 ft thick. The clay liner was built in three lifts, or layers, each lift being 4 in. thick. The liner was built up on a concrete pad so that researchers could crawl under and collect and then measure the liquid coming out of the bottom. A shelter was built over the test pad and about 1 ft of water ponded over the surface. The investigators divided the collection units into a number of subunits, each subunit measuring 3 ft by 3 ft. A total of 250 different collection units underneath the soil liner were monitored independently to determine the rate of flow. The objective was to correlate the variability of the hydraulic conductivity of the liner with the molding water content of the soil and with the dry density of the compacted soil. The investigators also installed 60 1-ft diameter rings in the surface of the liner, so that they could measure independently 60 different infiltration rates on the surface of the liner. Each of the 3-ft2 blocks was assigned an average hydraulic conductivity based on many months of testing and observation. The conductivity for the rest of the liner varies between 10-6 and 10-8 cm/s, a 100-fold variation of hydraulic conductivity. For a laboratory test on this soil, the test specimen would need to measure about 3 in. in diameter and 3 in. in height. Finding a 3-in. diameter sample representative of this large mass of soil presents a challenge, since small samples from larger quantities of material inevitably vary in hydraulic conductivity. The experiments resulted in two interesting sidelights. First, the average of all the hydraulic conductivities was 2-3 x 10-7 cm/s. Dye was poured into the water inside some of the 1-ft diameter rings installed on the surface of the liner to determine if the dye came out directly beneath the rings or off to the side. In some cases it came out directly beneath the ring and in some it wandered off to the side. It took only a few hours, however, for the dye to pass through the soil liner, even with an average conductivity only slightly greater than 1 x 10-7 cm/s. A few preferential flow paths connected to some of the rings allowed very rapid transit of the dye through the soil liner. The second interesting sidelight was the conclusion that no relationship existed between in situ hydraulic conductivity and either molding water content of the soil or the dry density of the compacted soil. The soil used in the experiment was a low plasticity sandy material with a PI of about 11%. The variations in hydraulic conductivity probably reflected zones of material that contained more sand in some places and more clay in others. Tests have been performed on a couple of liners in the field where liquid flowing into the soil liners has been dyed and traced by cutting a cross section or trench through the liner. The result seems to indicate that dyed liquid finds a defect in the top lift, moves down and spreads along a more permeable zone between lifts; finds another defect, moves downward, spreads; finds another defect and so forth. The problem arises in determining from where a representative sample should be taken. Even if 25 samples were picked randomly in a grid pattern from that zone for 25 independent measures of hydraulic conductivity, it would be unclear how to arrive at a single representative measure. The flow through a 3-in. diameter specimen is much too small to mimic the patterns of fluid flow that occur in the field under similar conditions. A second case history that demonstrates the difficulty of obtaining representative samples involves a trial pad constructed in Houston. A 1-ft thick clay liner was compacted over a gravel underdrain with an area roughly 50 ft by 50 ft. The entire area of the liner was drained and the flow from an area roughly 16 ft by 16 ft was carefully collected and measured. The liner was first built on top of the underdrain, the soil compacted with a padfoot roller, and water ponded on top of the liner. 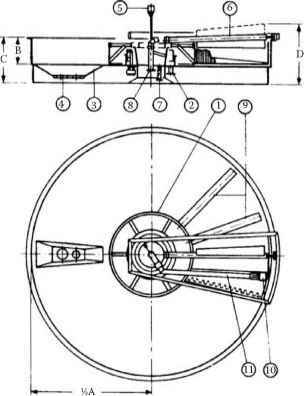 Infiltrometers measured the rate of inflow, and a lysimeter measured the rate of outflow. The soil used in the experiment was highly plastic with a PI of 41%. The liner was compacted with two lifts, each 6-in. thick. A 1-ft3 block of soil was carved from the liner, and cylindrical test specimens were trimmed from upper and lower lifts and measured for hydraulic conductivity. A 3-in. diameter specimen also was cut, and hydraulic conductivity parallel to the lift interface was measured. The actual in situ hydraulic conductivity, a high 1 x 10-4 cm/s, was verified both by the infiltration measurements and the underdrain measurements. The tests were replicated under controlled conditions using soil collected from the liner in thin-walled 3-in. diameter sample tubes. The laboratory measures of hydraulic conductivity were consistently 1 x 10-9 cm/s, five orders of magnitude lower than the field value of 1 x 10-4 cm/s. The laboratory tests yielded a hydraulic conductivity 100,000 times different from that from the field test. Apparently, the flow through the 3-in. specimens did not mimic the flow on a larger scale through the entire soil liner. The sample trimmed horizontally at the lift interface was actually obtained by taking a 3-in. diameter sample from a sample collected with a 5-in. diameter tube. The hydraulic conductivity with flow parallel to the lift interface was two orders of magnitude higher. Of all the values recorded from the lab tests, only the one obtained from the upper lift of the block sample was close to the field value of 1 x 10-4 cm/s. Apparently, that one block sample happened to hit one of the more permeable zones and, more or less by accident, yielded a lab measurement that agreed with the field measurement. The hydraulic conductivity obtained in a laboratory test can also be affected by the amount of gas present in the soil. Dry soils are less permeable than wet soils. A dry soil is primarily filled with air. Because invading water does not flow through air-filled voids, but flows only through water-filled voids, the dryness of a soil tends to lower the permeability.